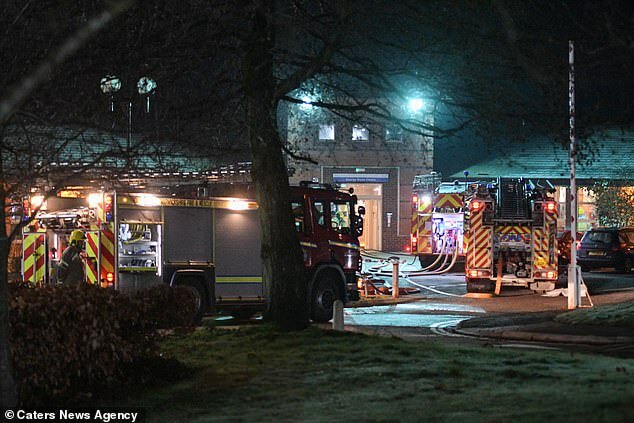 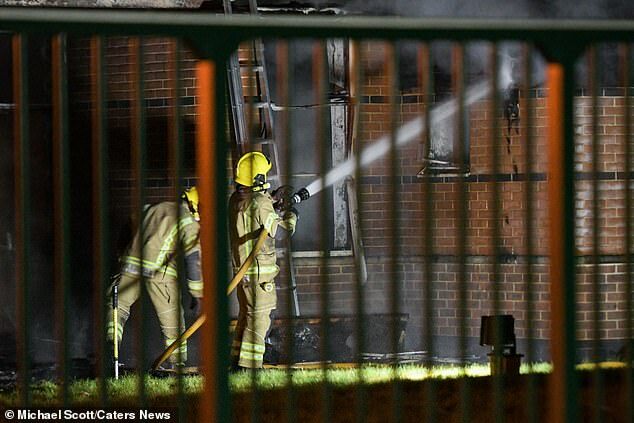 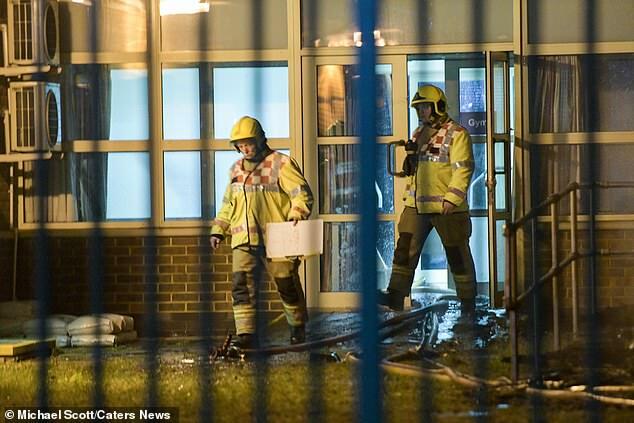 The 43-year-old was held as firefighters tackled the ‘severe’ blaze which broke out at the George Bryan Medical Centre, part of Sir Robert Peel Community Hospital, in Tamworth, on Monday night. 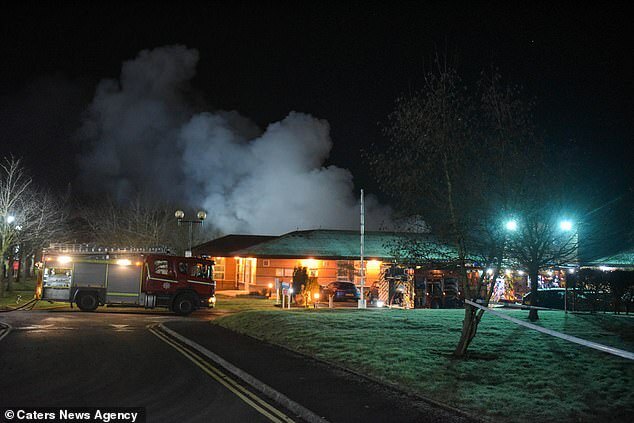 Staffordshire Police said the suspect, from Tamworth, had been detained and appealed for information from witnesses. 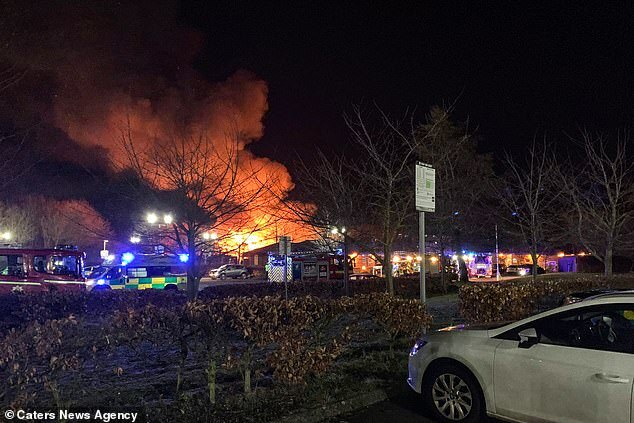 A spokesman from Staffordshire Fire and Rescue Service said that there was ‘quite a lot of the building involved’ in the blaze. 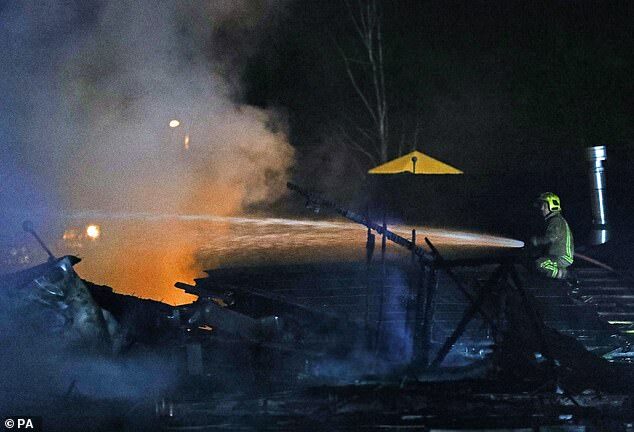 ‘We’re trying to sacrifice part of the building and let that burn to prevent it from spreading to the rest of the hospital,’ he added. 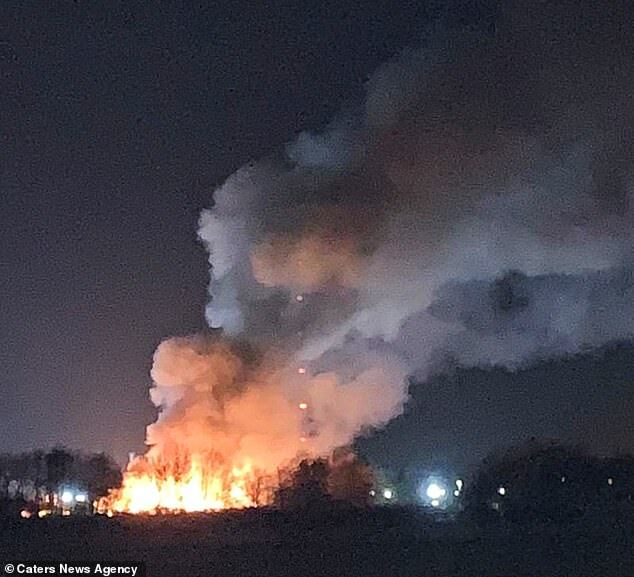 A spokesman from Staffordshire Fire and Rescue Service also said there are reports of one of the patients absconding during the commotion caused by the blaze.